No photos in the house, so a postcard and an outdoor photo. Lovely postcards and nice layout! Shame they won't let you take photos inside, but love that you got the postcard on there! Lovely page! It's great that you used the postcard! I hate it when you are touring a historic house and they won't let you photograph inside. Grrrr! At least, they had a postcard for you to scrap and preserve the memory. That staircase is amazing. Wow! Doesnâ€™t it kill the scrapbooker within to be told you canâ€™t take photos?! You did a great job with what you had, though. Like the â€œenjoy the journey â€œ box. That is an amazing staircase! Lovely background paper! I really like your handwriting/journaling! Very pretty page - nice paper choice! 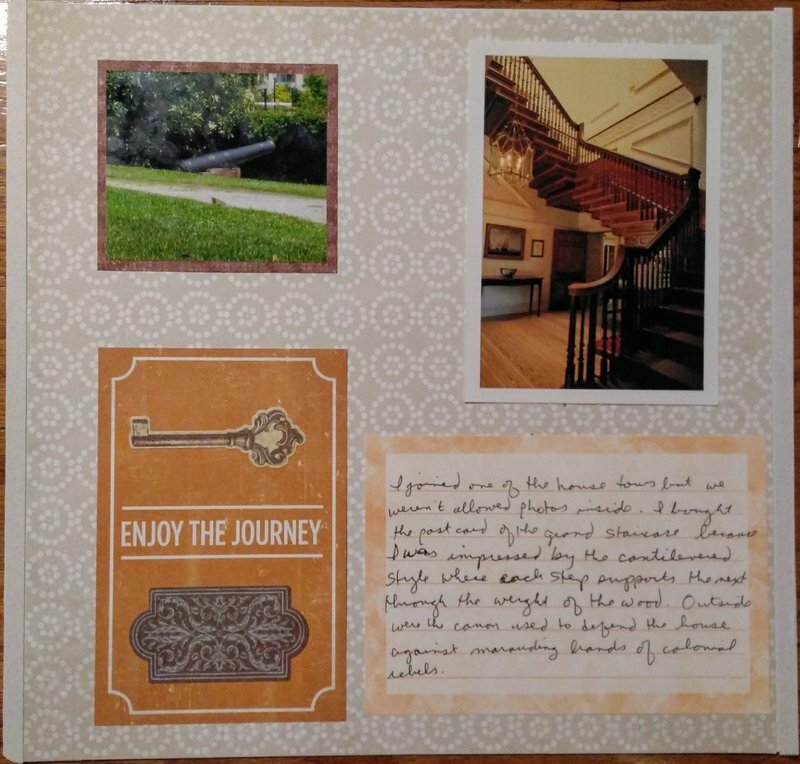 I love using post cards on my layouts!